How does your browser use DNS? How does DNS propagation work in practice? What affects the DNS propagation time? How to check the progress of DNS propagation? To understand DNS propagation, you need to start from the beginning. In the previous compendium we wrote about the Internet domain. Using the Internet, we use domains, and computers use IP addresses. And here we could use a “translator” who would translate the Internet domain into the IP address of the server. And such a translator is a DNS server. DNS servers are connected to one large network, from the servers of your ISP to the hosting service provider to the main servers called Root DNS servers. 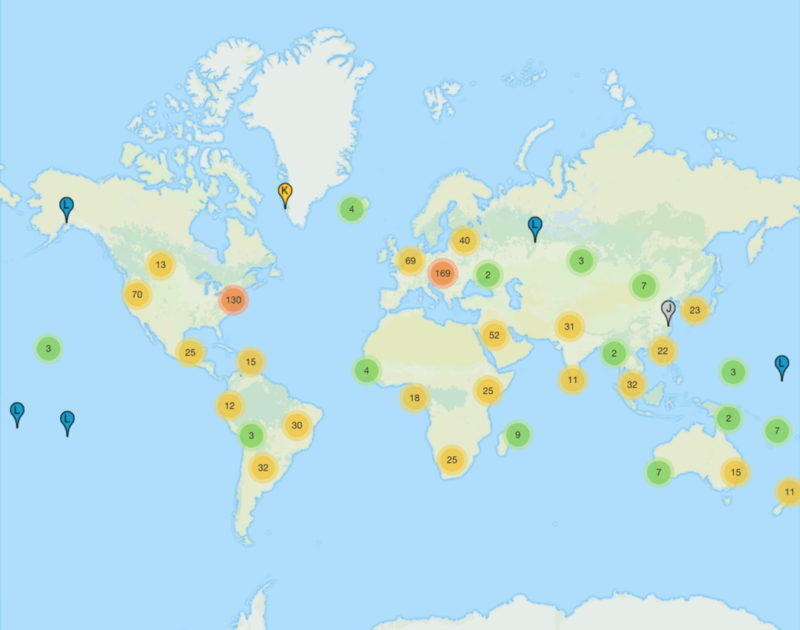 Map of root DNS servers. As of 21.01.2019 there are 933 servers operated by 12 independent operators. It all starts at the moment of entering the Internet domain address into the browser, where a web page will appear a moment later. During these few milliseconds your computer and other network devices will perform dozens of DNS queries so that the browser can start loading the page. Let’s take a closer look at it. How does the browser and DNS servers work? Depending on the settings, all DNS servers will remember the IP address and store it in a cache. As you can see, before your browser can find the IP address of a website, it must go through a complicated path, which depending on what is in the cache, can be short or very long. 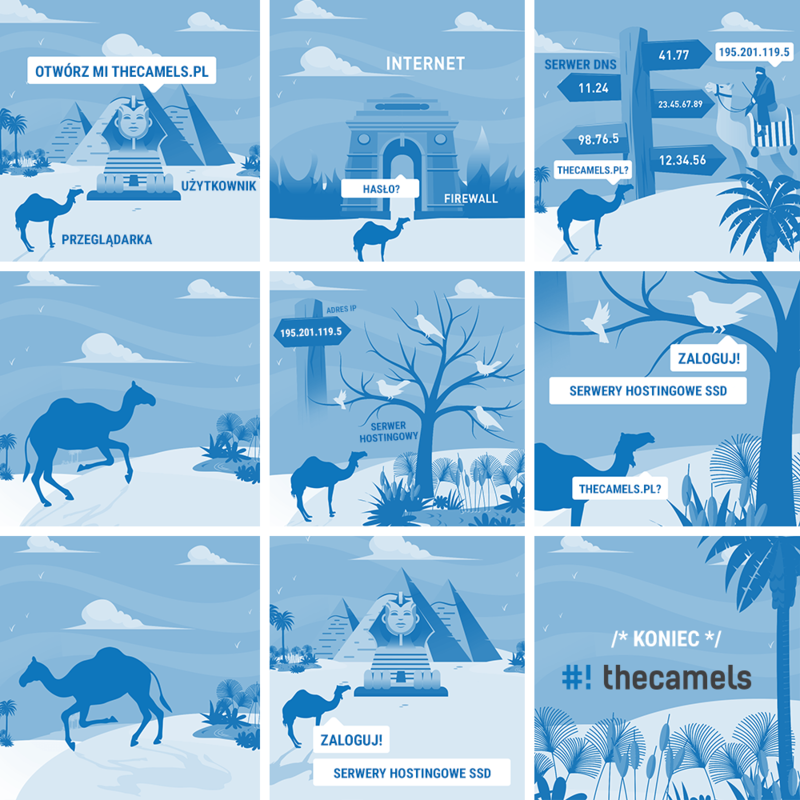 The route of DNS queries for thecamels.pl. Results from dns.squish.net. What if the website has changed its server and has a different IP address? Or the domain has been moved to another operator and has different DNS servers? The answer to this question will be DNS propagation. In short, it is the dissemination of information on the Internet that a domain has a new IP address or is supported by other DNS servers. Such information must spread across the network, so that every DNS server knows the correct answer. And as you well know, the Internet is large, so it can take a long time to spread the information. And this is what DNS propagation is all about. The Internet has to know that such a domain has appeared at all, when it is restored to operation after e.g. buying it out of quarantine, or when it is suspended when the subscriber has properly verified it. If we delegate the domain to other DNS servers, which will direct the domain to a new hosting or server, we can expect some undesirable effects of the propagation. Because new DNS servers solve the problem on a different IP server than the previous ones, some of the users will go to the new server and some to the old one. The same applies to e-mail. Some messages will be delivered to old servers and some to new ones. Therefore, during the migration it is important to synchronize the mail throughout the entire period of propagation of changes in DNS. Another thing you can do is configure old DNS servers to direct them to new servers. Such a solution will direct users to new hosting much faster. The propagation time can be tuned and accelerated slightly. We can do some things ourselves, and some of them are already in the hands of the Internet provider. TTL (Time To Live) parameter – this parameter is set on the side of the DNS server that manages the domain. It determines the time of storing information about the domain in the cache. The lower the cache value, the more frequent it will be to check the current records for the domain. Unfortunately, this parameter is very often ignored by many Internet providers. Refreshing DNS records in the domain registry – we have no influence on this value anymore. For example, the .pl domain registry refreshes data every 15 minutes, and global domain registries every couple of hours on average. Cache on your local computer – Your computer can also store the IP addresses of visited pages in the cache without having to query the DNS server. This cache can be cleared by yourself using appropriate commands depending on your operating system. Refreshing the cache in Google DNS – the company provides Flush Cache tool, which allows you to refresh the cache in their DNS. On the Internet we can find a lot of tools that will show us how a DNS delegation takes place. The most commonly used one is whatsmydns.net. On the website you can check on which DNS servers is the domain and what records are visible from more than a dozen locations in the world. Please note that the tools only give an overview of the propagation of change. 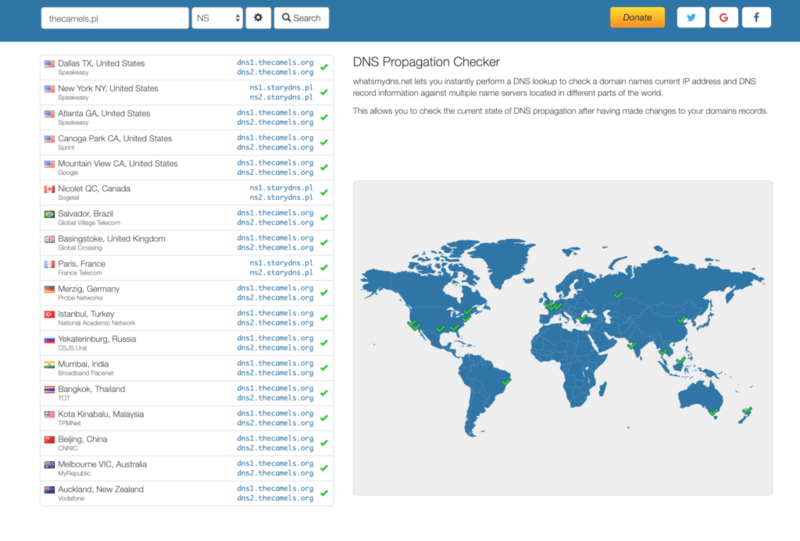 Example of changing DNS servers for the domain thecamels.pl. To sum up, DNS propagation depends on many factors, including DNS server settings around the world and local computers.